From small beginnings Gawler Community Retirement Homes (formerly Gawler and District Aged Cottage Homes Inc. or GDACH) has grown into a major provider of independent living accommodation in the Gawler Area managed by a very dedicated and responsible Board of volunteers. In November 1967 the Rotary Club of Gawler sponsored a meeting at Council Chambers to consider the needs of the ageing population in Gawler and its surrounding areas. From a series of follow up meetings, well supported by Service Clubs, the Council and local churches, two projects emerged in 1969, the need for housing for the aged and the establishment of a Senior Citizens Club. 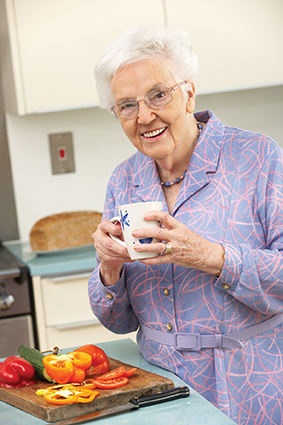 As a result Gawler Community Retirement Homes was incorporated to help towards meeting the first need. Property near the river between Fotheringham Terrace and Dundas Street was procured for the erection of 11 single bedroom homes. This then expanded to 45 homes to form the Elimatta Village ( Elimatta being the Aboriginal term for" home by the water"). Our organisation has now grown to 6 villages. In order of development they are Dawes, Governor Daly, Governor Gawler opened by Governor Marjorie Jackson- Nelson in 2004, followed by Vin Rice opened on June 21st 2009,and most recently James Martin Village in July 2011. More detailed information about the villages and their location can be found in the relevant drop down menu on our home page.